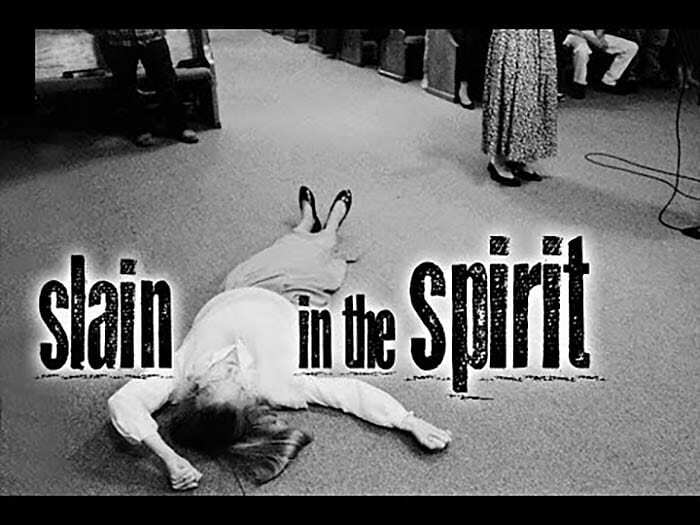 What Does the Bible Say About Being “Slain in the Spirit”? Nothing. The word “slain” means “murdered,” and God doesn’t do that. Neither does He knock people over or cause them to lose control of themselves and laugh unstoppably, or bark, cluck, twitch, or gyrate. Those are not manifestations of the spirit according to the Bible. The key principle here is that God NEVER usurps anyone’s free will. It is the Devil that infiltrates people’s minds via evil spirits and causes them to do such absurd things. Here’s a video that magnifies the absurdity of this practice.